Puree all together. Add water if is too thick, looking for cake batter thickness. I use a silicone pyramid baking sheet upside down. With a spatula spread into the holes. Put tuna in food processor and process until smooth. Add 2 eggs, process. Add flour and shakes of garlic, and cheese. Will be sticky and stiff. Bake in cake pan at 350 for 30 minutes. Let cool then cut into large pieces that can be frozen. When needed thaw and cut into small, treat sized pieces. 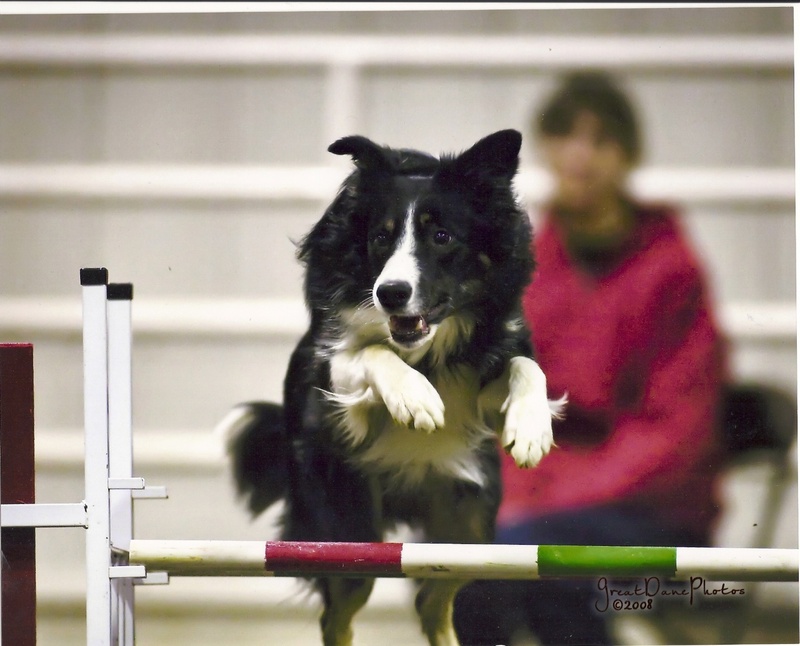 Co-Owner of Canine Sports, Christy Thomas places 10th in the 2015 AKC National Obedience Championships at Purina Farms. See her run here! 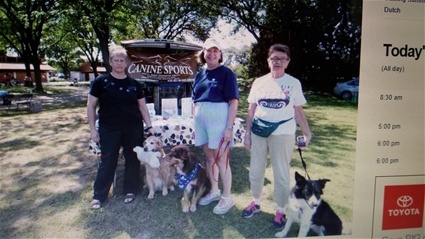 Karen, Nancy, and Joann enjoying a beautiful day at the Stein Hospice event in Sandusky, Ohio! 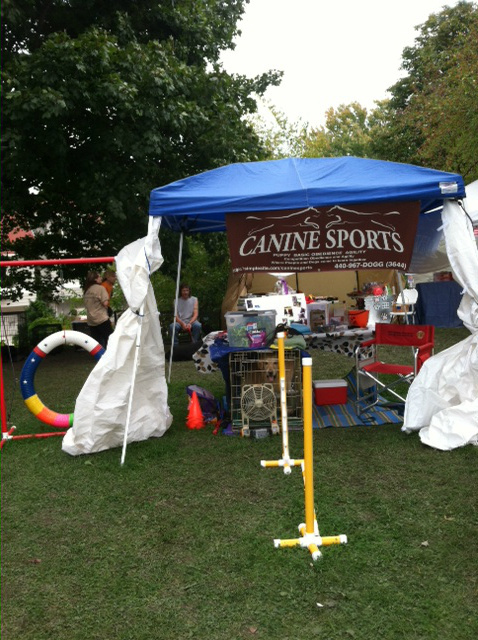 Canine Sports participated in the 42nd Annual Woollybear in Vermilion, Ohio. Rain was threatening but we made it through the day without having to put the sides up on the ez-up. 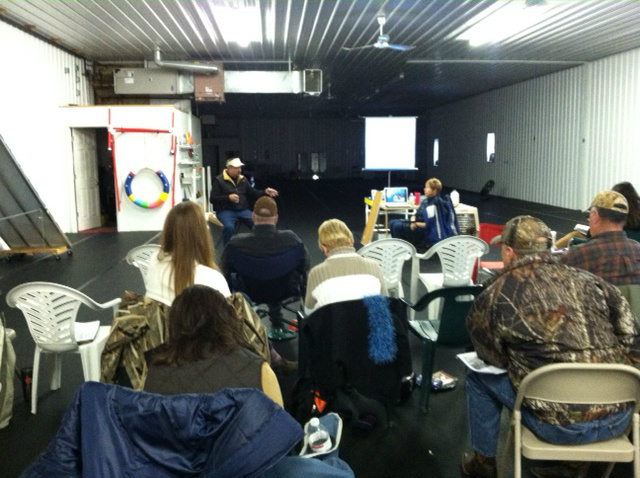 We enjoyed talking to people from all over the state of Ohio! Lunch break at the Sandy Ladwig lessons in Oct. 2013. 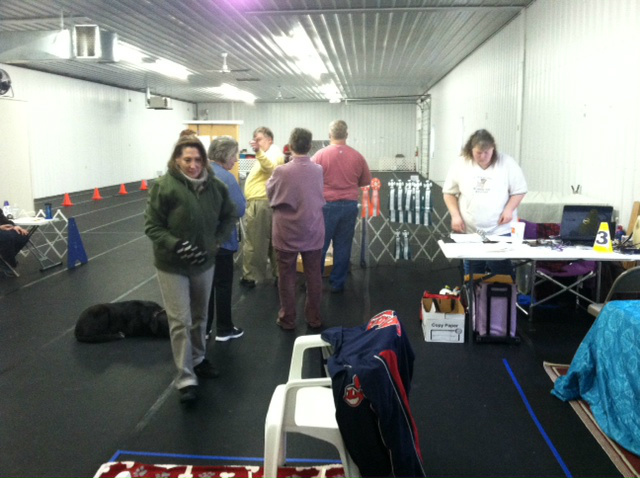 Participants came from Dayton,Toledo,Ann Arbor and from our Canine Sports family! Lots of good training ideas were shared! 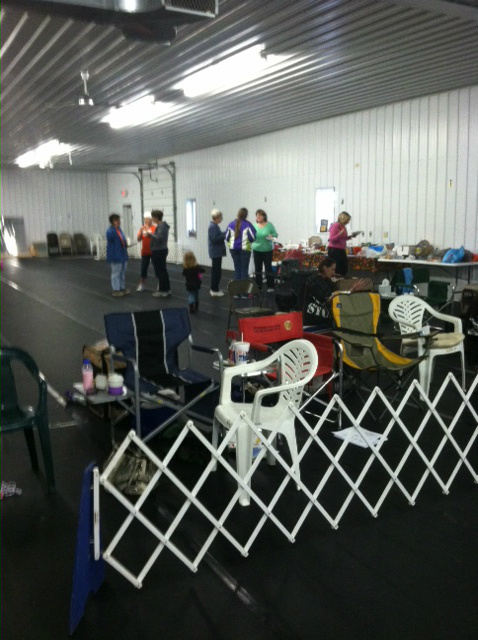 We had a really nice turn out for the C-WAGS Rally and Obedience trial in the fall of 2012.